APC Youths Renaissance has reacted angrily to the irresponsible action of the Ebony State Governor, Mr. Dave Umahi for banning APC rally slated for this Saturday in the state. We wonder why a governor who took the oath of office to defend the constitution of Nigeria in Ebonyi State would be the very one violating the same law in which he is a custodian. Hence, the irresponsible action of Mr. Umahi in banning the activities of APC members in the state is outrageous and unbecoming of a governor who truly understands the limits of his constitutional powers. APC rally in Ebony State is not a privilege but a right enshrined in the constitution. Governor Umahi has no power whatsoever to stop the APC rally in state under any guise. If Gov. Umahi could exhibit crass ignorance on matters concerning the law of the nation, we wonder how he has being governing the state in the last three years? How can a governor who cannot respect the simple freedom of association enshrined in the constitution continue to govern a state whose citizens are law abiding citizens? 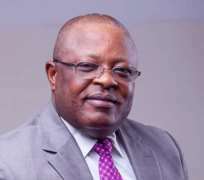 We thought that as the Chief Executive of Ebonyi State, Governor Umahi should have acquainted himself with the basic knowledge of law and as a result ought to have known that it where his right and that of his corrupt party stops that another party's right and that of it's members starts. For falling this simple test of leadership, we hereby pass a vote of no confidence on Gov. Umahi and ask him to resign from office with immediate effect.